After Netflix’s Tallulah opened last year’s Sundance London, the festival is back for its UK edition once again this summer, and Netflix and Amazon Studios are once again key players. Both dominated the Utah festival at the start of 2017, snapping up indie films left, right and centre for either worldwide of US distribution. Running until Sunday 4th June, this year’s Sundance London line-up includes Amazon’s Crown Heights and The Big Sick, and Netflix’s Chasing Coral, Icarus and The Incredible Jessica James. What else is on offer? The weekend event is a chance to catch up on some of the best indie films that screened at Sundance in the US earlier this year – exactly the movies that streaming services are looking to buy. Can’t make it down this weekend? Not sure which films to see? 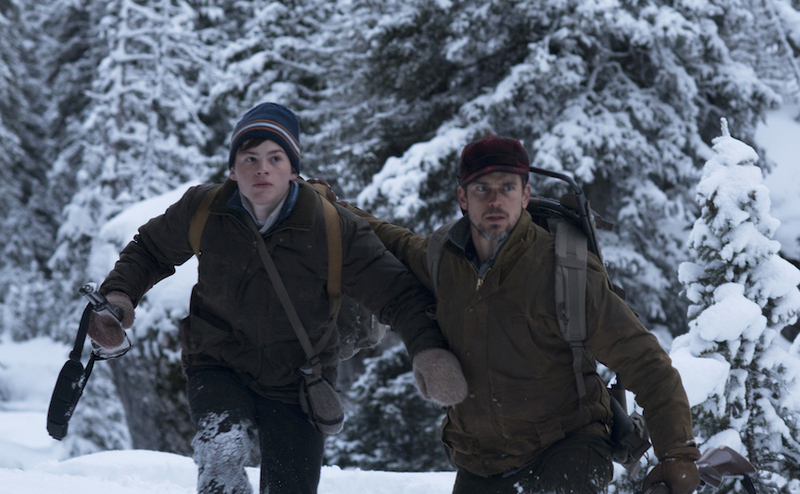 Here’s our initial verdict (and release info) on some of this year’s Sundance London flicks. A couple walk out of a deserted subway station in Brooklyn. A man runs down the stairs into their path. He is on fire. It’s an arresting, bold opening to this riveting thriller, which places us directly in the midst of a domestic war zone – and doesn’t let up for one second. Graham Reznick’s script, co-written with Nick Damici (who, between Hap and Leonard, Stake Land and Cold in July, is a seasoned veteran when it comes to crafting tension), drip-feeds the reasons behind the onslaught, delivering a surprisingly pertinent, political punch – and hitting it home with several superb character-driven blows to boot. 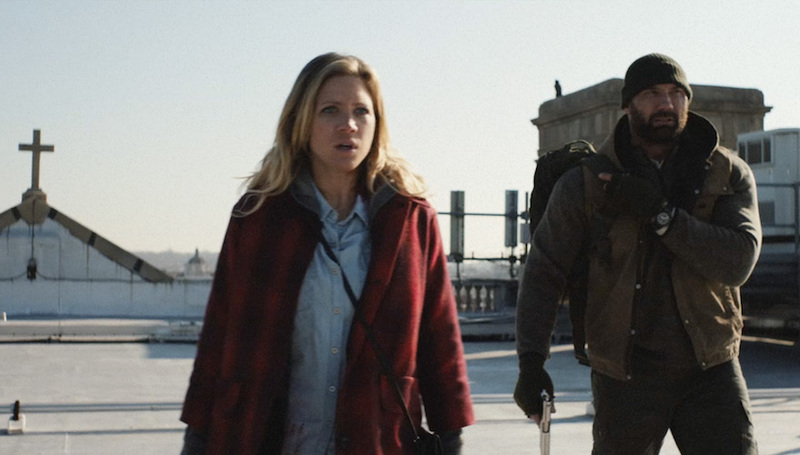 Dave Bautista and Brittany Snow bring depth and resourcefulness to their resilient lead pair, one a surprised resident, the other an ex-Marine-turned-janitor, and directors Cary Murnion and Jonathan Milott shoot the whole thing on handheld cameras, sneaking up stairs and diving through doors with a pace (and just enough of a decent job at pretending to be in a single shot) that leaves you nervously trying to look at what’s around the corner. A visceral, gripping actioner with its finger firmly on America’s pulse, this is a cracking bit of B-movie fun. It’s a strange feeling when you feel a film comes across like a neutered imitation of a recognisable artistic voice, only to realise come the end credits that the film’s screenplay was actually written by that person. Such is the case with Wilson, based on Ghost World creator Daniel Clowes’ graphic novel of the same name, and adapted by the writer for the screen. Craig Johnson, following up The Skeleton Twins, is in the directing chair. In print, Clowes’ tale of a filterless misanthrope acts as an overwhelmingly sad story of a lonely individual grasping for the slightest connection to give his life meaning. In film form, the misadventures of Wilson (Woody Harrelson) are but over-familiar stock quirk of the kind distributor Fox Searchlight relishes (see: Garden State, Me and Earl and the Dying Girl). Edge from the source material is sanded off, with the screen Wilson akin to an eccentric ranting uncle who wouldn’t feel out of place in, say, Little Miss Sunshine. Some individual moments in the episodic story – which mostly concerns itself with Wilson connecting with his ex-wife (Laura Dern) and the now-teenage daughter he never knew about – work, but there’s little accumulation into anything with much impact. After her car breaks down far from home following an appointment, a holistic medicine practitioner, Beatriz (Salma Hayek), attends the dinner party of a wealthy client (Connie Britton), while waiting for her car-towing friend to finish work. 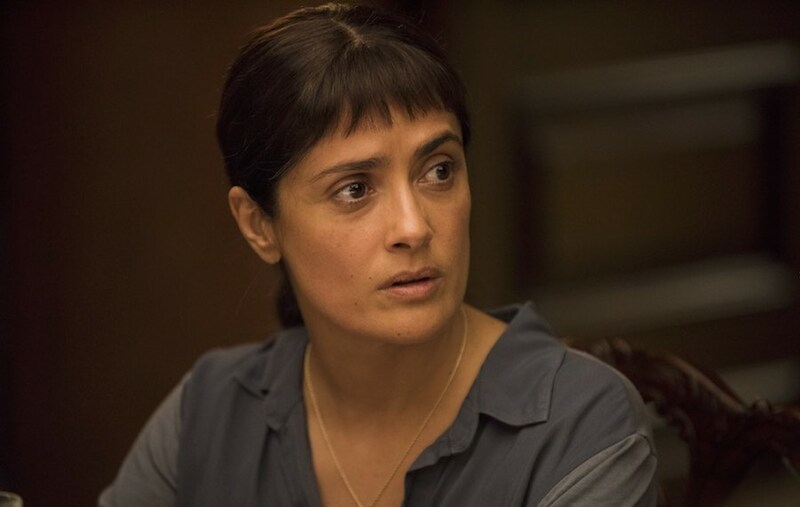 Exposed to a greater sense of the American elite’s vacuum than ever before, Beatriz experiences superficially polite degradation and casual racism, which turns more menacing, as conversation develops with a self-made billionaire guest (John Lithgow) – a product of big-firm capitalism who may have had a hand in her Mexican hometown’s deterioration. The latest collaboration between director Miguel Arteta and writer Mike White, Beatriz at Dinner is a film that works well enough as a kind of comedy, albeit in a hardly subtle fashion, before crashing somewhat, as its final act takes a dark and frustratingly opaque turn. All credit to Hayek, though, who does some of her very best work here as a vulnerable, downtrodden soul struggling to balance her commitment to healing and empathy with the simmering rage brought about by contact with a world-wrecking devil – Lithgow’s character is a heck of a lot smarter than Donald Trump, but he’s pretty clearly meant to evoke him. 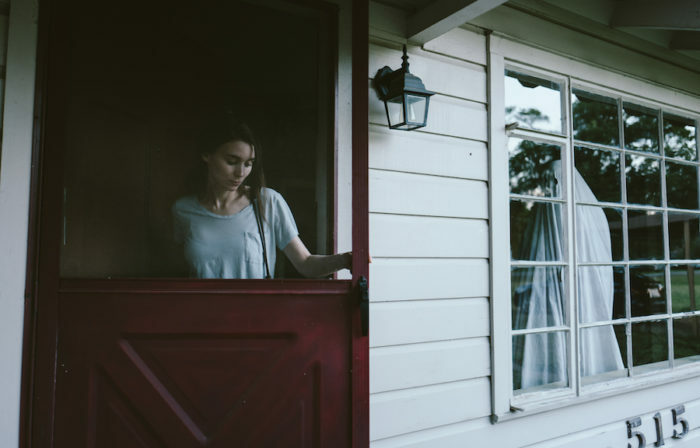 A Ghost Story is the longest 87 minutes you will ever spend in a cinema. And that is absolutely a good thing. Ain’t Them Bodies Saints director David Lowery reunites with his two stars for this moving, spooky tale – a horror in which the scariest thing is the world moving on after you’ve gone. Affleck plays the titular ghost, who departs this mortal plane and leaves behind Mara’s bereft other half. What follows is a poignant montage of him acclimatising to the afterlife, which is much like normal life, but with a slight whiff of a smoke machine and a melancholic sense of invisibility. Circling back through the couple’s happiest days to the point where they were drifting apart even while both alive, Lowery masterfully evokes the eeriness of not quite being alive, using sound and music to create a sense of sad limbo, one that offers both freedom and prison. Effectively a two-hander, Mara and Affleck are superb together, Affleck managing to convey huge amounts despite spending a large part of the film underneath a white bed sheet, and Mara magnetic even in her silent grief. One long, static shot sees her slowly comfort-eating a pie. She pokes it with a fork forlornly, before devouring it relentlessly. The aching pain of loss is balanced with an often unnerving sense of dread that something is about to disrupt their quiet domestic life – and when it does, the terror unfolds unseen in the daylight – as well as a surprising touch of whimsy and humour (the sight of Affleck standing under a bed sheet is knowingly amusing in a post-Scooby Doo world). The result is an absorbing, surprising, sweet and spine-tingling tale of a profound bond between two people. Viewed through the nostalgic 4:3 frame of an old photo reel, here, even the act of hanging around your old house becomes one of devotion and longing. A Ghost Story? This a timeless, generation-spanning love story in the most haunting sense. 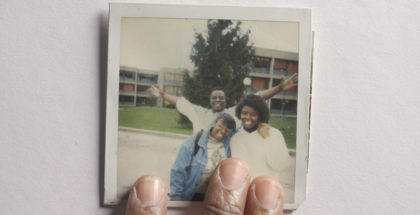 For more on Sundance London, including reviews of Netflix’s originals, interviews with filmmakers and other news, click here. To buy tickets, see the official website. What’s coming soon to Shudder UK in June 2017?